The best high-quality premium car infotainment systems on the market for competitve price! SMARTY Trend devices always have modern features, supporting for factory car functions and latest Android firmware. We accept Visa, MasterCard and other cards through the Payoneer checkout or secure bank payment gateway (certificated with "Verified by Visa" and "MasterCard SecureCode"). All transactions are protected with 3-D secure card acceptance system using SSL protocol. We use DHL, Fedex, UPS, USPS and other well-known delivery services to send goods to the United States & Canada. We use fast Euro Express delivery for European nations, all packages will be dispatched from our UK, DE or NL stocks (For EU nations VAT and import duties will be not applied). Worldwide shipping is possible through DHL, EMS and other fast reliable delivery partners. There are one year warranty for all products, assistance with installation, latest firmware updates, manuals and guides, post-warranty support and lifetime information support. SMARTY Trend Home Android Car Stereo Navigation In-Dash Head Unit has a lot of advantages as opposite to the original car multimedia system. OS Google Android 8.1.0 Oreo (9.0 P update) based car stereo is much more functional than other operating systems car devices. Everything that is available in your modern smartphone or a tablet now it is easy to access in SMARTY Trend multimedia system. Everything what you need is at arm's length! The bright 9 inches Full-touch screen is visible everywhere at sunny weather. There are excellent HI-FI sound, premium quality, high performance, multitasking, easy to use, unique simple interface and much more! Modern components and optimized software make SMARTY Trend Home a leader among premium automotive head units! SMARTY Trend Android 8.1.0 Oreo (9.0 P update) Car Navigation Head Unit for Home runs on the high-performance platform with 1.8 GHz Octa-core (Allwinner T8) processor! Increasing the number of cores improves performance and allow to make the device much faster. Reaction to the user signals is instantaneous and without any "freezes". Diagonal screen is 9 inches Full-touch with HD 1024*600px LCD resolution, display brightness is very high and it will be seeable even at sunny day. When car lights are switched on, the screen brightness automatically becomes darkfield, also the brightness function can be tuned in a manual way and enables to customize the screen with individual preferences. Capacitive touchscreen technology allow to control all functions easy and safely while car driving. Remark: the manufacturer reserves the right to change the packaging, specifications and design without prior notice, but functionality and quality of the product can not be deteriorated. Performance. Powerful 1.8 GHz Octa-core (Allwinner T8)! Increasing the number of cores makes the device faster. You can use several applications simultaneously without any "freezes". For example, while listening music or radio, you can continue to use the navigation software. When you receive an incoming call, SMARTY Trend device will disable the sound of music itself and after completing the phone conversation the sound will return automatically. Sound. Excellent sound quality is ensured with the Hi-Fi sound processor. "Equalizer", "Cutoff frequency" settings, "Loud" function, separate volume control for the loud speaker (subwoofer) and external amplifier support, all these functions adjust the sound to your own preference and get high-quality sound! FM Radio. Radio is one of the major functions of the multimedia system in the car! Our devices are equipped with the digital FM module NXP TEF6686. It makes radio reception more seamless and clear. Only luxury cars are equipped with same modules! Navigation. All SMARTY Trend Navigation head units for Home come with GPS / Glonass module on-board. It allows to estimate the location of a vehicle more accurately and quickly. You can use popular navigation software, like Google Maps, iGo Primo, TomTom, CoPilot, Sygic, Waze and others. Online traffic information allows you to choose the best route. HandsFree. Handsfree function allows you to talk safely on the phone while car driving. You can make calls with phonebook through the car stereo unit. You can see the name of contact or search contacts in the phonebook with phonebook copy function. You can enjoy music wirelessly from your smartphone or tablet with A2DP protocol supporting, just connect your device through bluetooth. TPMS (Tyre Pressure Monitoring System). You can trace the pressure and temperature of the tires on display in real time, just install tire pressure sensors and special Android application in the SMARTY Trend unit. Adjusting the visual or audible warnings will give you an information about tire failure. On-board computer. Connecting the OBD-II adapter and you will be able to find out errors and diagnose vehicle systems without attending the car dealership. In addition, the adapter can be used as on-board computer with advanced settings. Installing a special Android application and you can get a lot of useful information about your Home online from multiply engine sensors. Some cars aren't supported by OBD2 adapter. Remark: OBD2 adapter is option. Voice control. Voice control software extends the functionality of the SMARTY Trend device. Many duties of car stereo unit can be controlled by voice in the process of car driving. You can execute most often commands with help of voice. Also you may use Google Now application, just say “Ok Google” from any screen and ask a question, Google will speak the answer aloud. TV. If you install digital DVB-T or T2 TV tuner you will have an opportunity to watch your favorite TV programs. The tuner does not depend on the Internet and receives a signal through the air wire. The SMARTY Trend TV tuners works in motion at any speed. Remark: TV tuner is option. Video. What about movie or cartoon for children during the long expectation? Deal! The SMARTY Trend unit supports video playback from USB Flash and Hard disk drives. Supporting all well-known video formats: AVI, MP4, MKV and others. Wi-Fi. On-board Wi-Fi module makes possible to connect to Internet. It's very easy! Just activate the access point on your smartphone or 3G/4G WiFi-router and you are online! In other case you can connect to the Internet through the USB 3G/4G modem. Parking cameras. The parking on your Home becomes more safety with using rear backup camera. The camera is automatically activated when you put into reverse gear. You can switch to on/off parking lines in the setting of the SMARTY Trend radio. Some cars support option of the trajectory lines while parking. Besides that, you can connect the front camera! Steering wheel controls. If your car has analog steering wheels buttons, you will have opportunity to reprogram them and you can settle three functions for one button (short / repeat / long press). If your car has digital buttons (CAN-bus models), they will have pre-installed functions, the same as original functions. Factory original functions. The SMARTY Trend unit has perfect integration with original car systems and car design. It's easy to connect "pin-to-pin" connectors. If your car is equipped with the original factory parking assist system, backup camera, factory amplifier, factory loud speaker (subwoofer), you have the ability to keep these functions because SMARTY Trend unit will support them. If your Home has some of these factory functions please asserting before making an order. Android applications. Thousands of useful applications and games can be installed through the Google Play Store in the SMARTY Trend device indeed. Also installation of Android applications is possible through the file manager with USB Flash storage or SD card. Climate control information. Climate control information is supported with SMARTY Trend for some cars. Temperature changes, directed flow of air, outboard temperature, ...etc, all this information will be available on the display. Remark: factory functions which are mention above as an examples. Different cars have specific functions, please contact us to learn more information about function supporting before your purchasing! Equalizer 12-band equalizer. Separate volume control for "Loud" and "Subwoofer". GPS navigation maps Google Maps / iGo Primo / TomTom / CoPilot / Sygic / Waze or others. SMARTY Trend Car Stereo User Manual. SMARTY Trend Android User Interface Screenshots. The News of the summer 2018 - SMARTY Trend head units on Android 8.1 Oreo. Updated SMARTY Trend head units with new Android 7.1 Nougat and new Octa-Core processor T8. 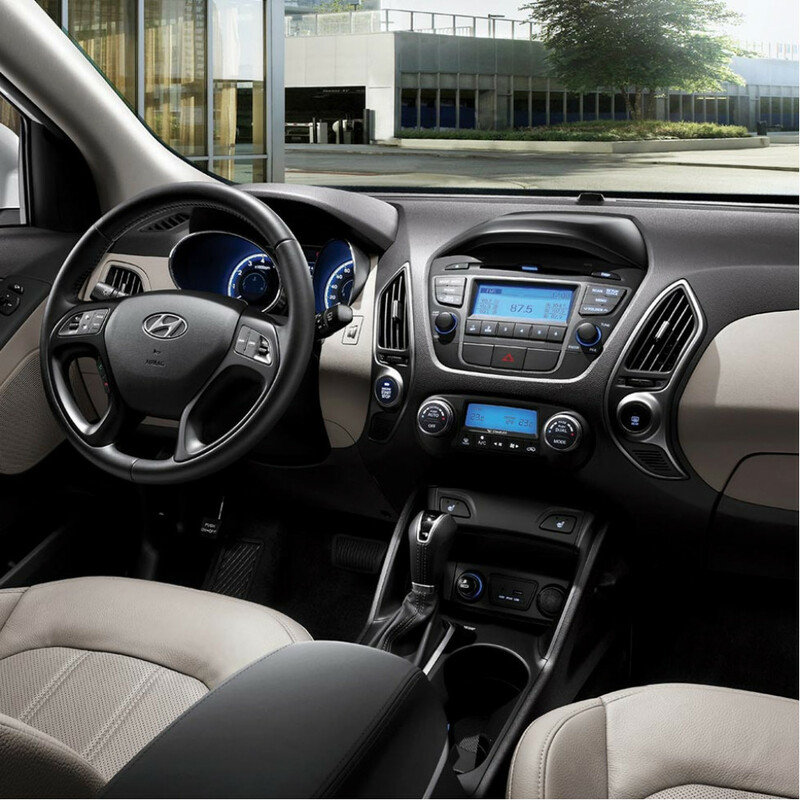 Video review the SMARTY Trend head unit for Hyundai ix35. Regular microphone is not supported, because works only with a standard radio. Included is an optional external microphone for hands-free calling. Support standard rear view camera.